Hi Lovely Ladies! I'm really sorry I've been neglecting my blog lately. I haven't picked up any new products recently which have screamed 'Wow!' at me, and I've had (in the words of Carrie Bradshaw herself) a bit of writers block. But here I am, snuggled under my duvet with a hot chocolate (woops, diet!) on a rainy Friday afternoon putting together a new blog post. Apologies in advance, this post will be rather very long and on the picture heavy side! I absolutely adore trying hair care products. My usual routine changes from time to time if I find something which makes my hair look and feel a little better than usual. I can honestly say I've tried everything from Poundland bargains to salon bought goodies and everything in between. 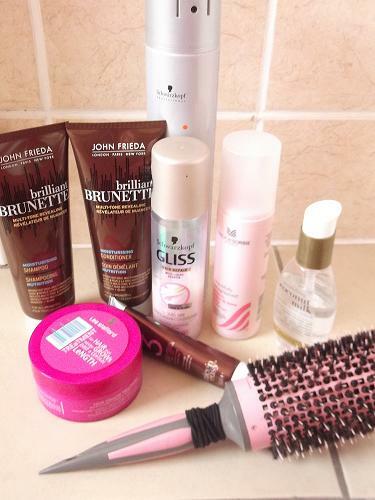 I often get asked how I style and look after my hair, so I thought I'd tell you all at once exactly what I use and do. Since having my hair coloured from burgundy to brunette, the constant colour refreshing has become a little bit less of a nightmare. 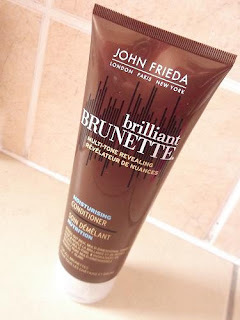 I went on the hunt to my local Boots to find a shampoo and conditioner specifically for brunette hair, as it adds subtle colour and brings out the undertones of brunette hair while adding a huge amount of gloss. 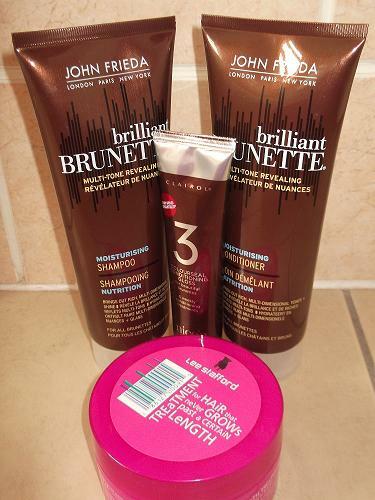 I came across John Frieda's 'Beautiful Brunette' range which a few of my friends have recommended in the past. The packaging makes it look and feel like you're using a product from the salon, but for only £5.65 each, only at a fraction of the price. The shampoo has a bit of a marble effect when you use it, which I seem to love the idea of. It smells absolutely gorgeous too, sort of sweet and floral. A little really does go a long way with it too, and a small palm full lathered up well enough to cover my entire head. My hair felt squeaky clean once I'd removed the product too. 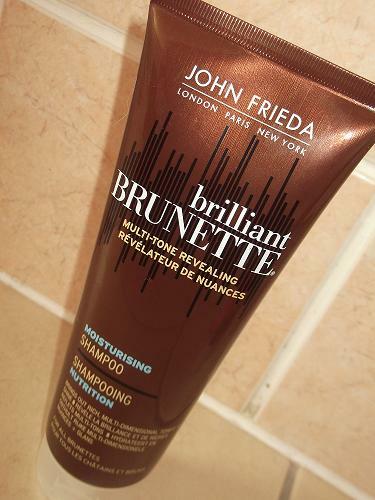 Acts as the sister to the 'Brilliant Brunette' shampoo. There isn't a marble effect with this conditioner, but more of a thick brown cream effect. I cannot begin to tell you how amazing it smells too, very similar to the scent of the shampoo although definitely stronger. 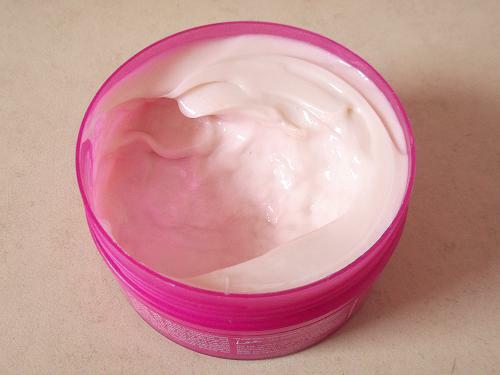 As with all conditioners, its essential you don't apply too much product, particularly to the roots of your hair, as your hair will look as though it hasn't been washed in a week. 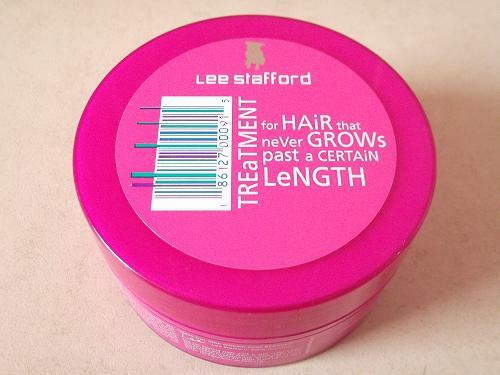 This restores shine and manageability, and realistically transforms the look of the mid-lengths and ends of your hair. This product is a definite must of mine. It's one of those products where you think 'does it really work?' 'is it a waste of money?' or 'it's too expensive'. But honestly, I don't know what I done without it! You apply the treatment inbetween shampoo and conditioner from root to tip and leave it to work its magic for 4 to 5 minutes. If you suffer with the whole booby length situation where it stops growing altogether, this is a product for you. After using it for two months or so, my hair has grown just under two inches. Hoorah! Two inches closer to not needing hair extensions. I have a full review of this product which you can read by clicking here. These are the little tubes of conditioner you get when you buy a box dye, but they are now sold seperately in Superdrug, Boots and supermarkets. I personally don't use box dye to colour my hair anymore as my best friend is a hairdresser, but these little beauties are amazing. Once every two weeks I treat myself to a hair mask or an intensive conditioner to repair the look and feel of my hair. These tubes are the bees knees, and also come in shades suitable for blonde and red hair. They smell identical to John Freida's range, but the formula is alot thicker which means a lot less is needed. It adds a massive amount of shine, and there is a real difference in the look and feel of the hair. After washing my hair, I love a good old bouncy blow dry. It took me years of practice to be able to dry the back of my hair nicely, but I got there in the end. I think a fresh blow dry is key in getting a great finished result, and if you use the right products, can make you hair look even better than normal. I have previously written about the above products on my blog and have raved about how great they are after washing your hair. I spray both the leave in conditioner along with the heat defence spray through my hair and use a wide toothed comb to remove any tangles and spread the product through my hair. 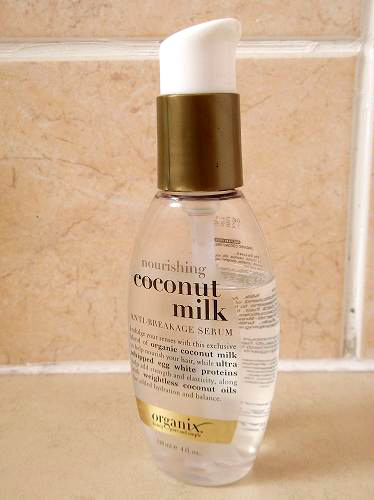 It's important not to comb the coconut milk through your hair as you'll end up with very greasy hair, you only need it through the ends of your hair. 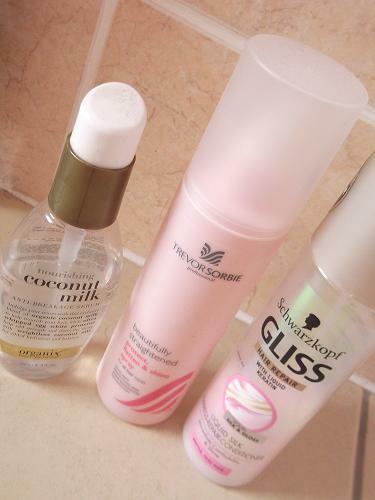 To read a full review of the Organix Coconut Milk, click here, to read a full review of the Schwarzkopf Leave-In Conditioner click here, and to read a full review of the Trevor Sorbie heat defence spray, click here. 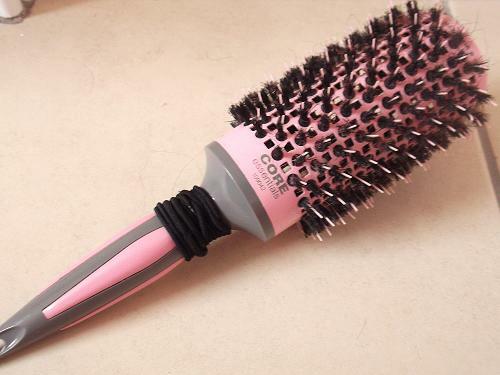 This brush works absolute wonders in getting that big, volumised finished blow dry. The barrel itself is so big, which in turn makes for bigger hair. It has air flow technology, which means the air is able to get through the brush, resulting in hair being dried quicker. The bristles grip the hair and there are no wispy bits lying around (TIP: the bristles are very prickly so be careful not to grip them to much. They will hurt). I section my hair 4 times, but that's only personal preference, so may not be the look you want to achieve yourself. I've mentioned in the past that I really like TreSemme products, although some hairdressers do say to stay away from it. The hairdryer is great, and does nothing more or less that your standard Argos one. It comes boxed with a removable diffuser and air flow attachable too which I would recommend using when blow drying hair. It aims the air flow from the dryer itself in the direction you want. I'vegone through countless hair dryers in my time, and have had this for well over one year now, so far there have been so sparks, no sizzling sounds and no burning smells. Winning. This is by far my favourite part of my haircare routine. I love being able to mix up my hairstyle to my mood, whether it's long and straight, big bouncy curls or up in a bouncy ponytail. From day to day, I tend to wear my hair down and straight with a bit of backcombing at the crown but if it's a special occasion or I fancy a bit of a change, I go all out. I cannot rate these hair extensions highly enough. I use the Deluxe range, which means the hair is extremely thick, soft and double wefted. I much prefer clip in hair extension to bonded ones. Yes, they are a pain to put in and take out everyday, but your hair will thank you for it. My only slight criticism is the fact that they are only stocked in 20" which isn't great if you want very long hair. They come down to about 4 inches from the waist, and providing you look after them properly, will last you ages. I'm going to write an updated blog post where I will go into more detail on these so look out for that! 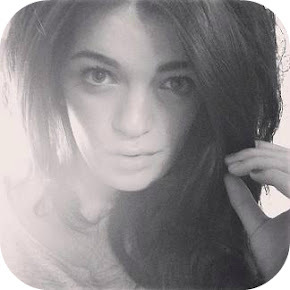 I've been using GHD hair straighteners for years now, and I've never looked back. They really are a godsend and I adore them. I've had my second pair for three years now and although they have a six year guarantee I'm looking to replace them at Christmas. They heat up within seconds up to 230 degrees (so be careful. I can't count how many times I've clamped my fingers inbetween them!) so straightening or curling your hair takes no time at all. I picked up the Babyliss curling wand a few months ago as I felt I wanted bigger bouncier curls than what you get when using a straightening iron. Again, it does get extremely hot so please don't touch that barrel! 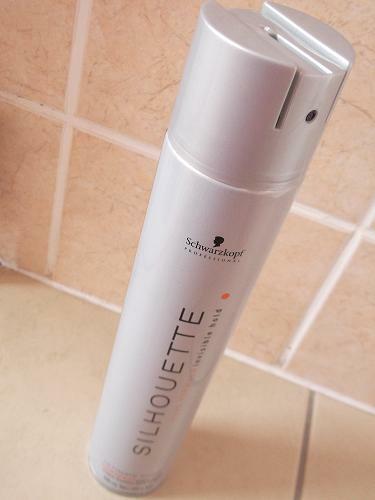 By far the best hairspray I've come across. It holds my style all day and it doesn't leave that dreaded crispy feel on parts of your hair. It also contains shine technology so by this point, your hair looks extremely glossy and rich. If I'm backcombing my hair then a little spritz of this stuff at the roots is a godsend. It keeps wispy bits at bay, and most importantly keeps my fringe in place. Finally. I have to stress that this brush is the most amazing hair product I've ever come across. Denman have some great products, and this brush is by far the best. The brush makes backcombing effortless, and it grips onto the hair with ease. It does have a tendancy to pick up hair it it's track, but hey what brush doesn't? If I could have one product to last me forever it would without a doubt be this.